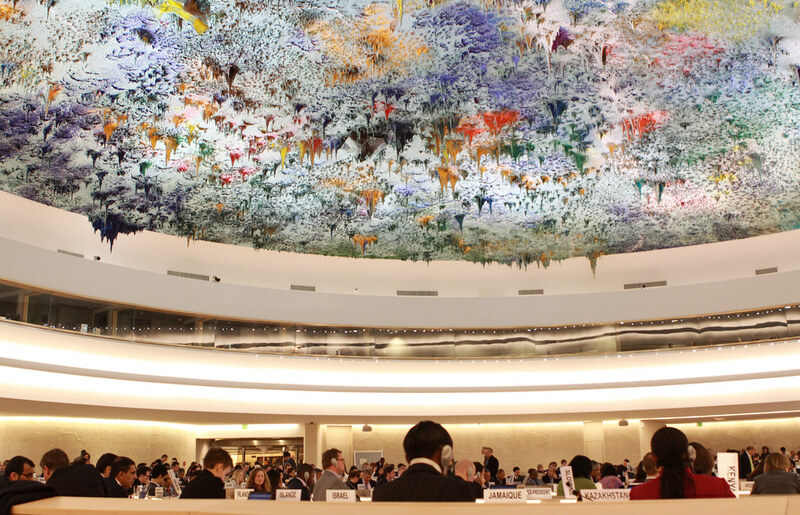 The second week of the 25th Human Rights Council Session started with the presentations of the Special Rapporteurs (SR) on torture and other cruel, inhuman or degrading treatment or punishment. : Mr. Juan Mendez and Special Rapporteur on the situation of human rights defenders, Mrs. Margaret Sekaggya. Their presentations were followed by clustered interactive dialogues with the member states NHRIs and NGOs. Special procedure for human rights defenders is currently one of the nine requests that have not been adequately addressed by the Government of Sri Lanka. jus cogens or peremptory norm of general international law and requires states not merely to refrain from authorizing or conniving at torture or other ill-treatment but also to suppress, prevent and discourage such practices”. In her opening remarks, Margaret Sekaggya indicated the shrinking space for civil society and defenders in many parts of the world and sophisticated forms of silencing the voices of defenders and impeding their work. At the end of the clustered interactive dialogues with the Special Rapporteurs on torture and human rights defenders evening meeting of the session started with the opening remarks of the Special Rapporteurs on the right to food and on the right to adequate housing which was followed by the clustered interactive dialogue. If you've missed our past daily reports, check out Day 1, Day 2 and Days 3, 4 & 5 of proceedings.